1. Burgaz, et al. 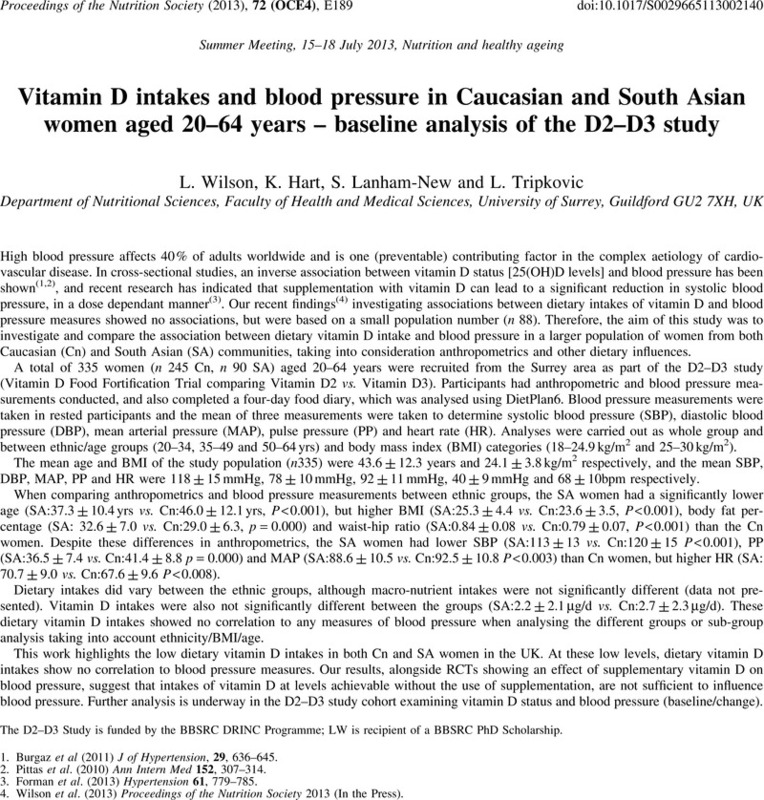 (2011) J of Hypertension, 29, 636–645. 2. Pittas, et al. (2010) Ann Intern Med 152, 307–314. 3. Forman, et al. (2013) Hypertension 61, 779–785. 4. Wilson, et al. (2013) Proceedings of the Nutrition Society 2013 (In the Press).